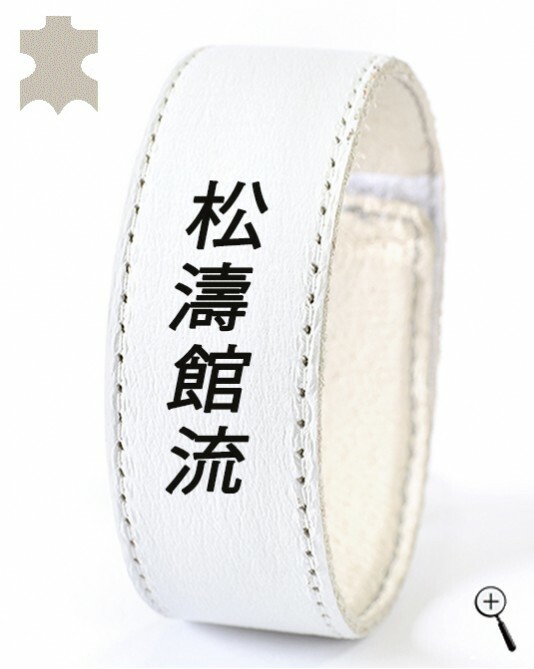 The white magnetic leather bracelet with inscription on Kanji "Shotokan Karate" is made of natural leather. Touching close to the body lower part of the magnetic leather bracelet is made of porous leather to absorb perspiration without stifling body skin in the contact zone. 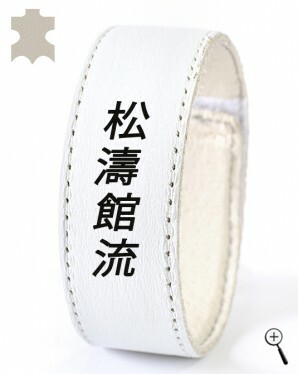 Lining of the magnetic leather bracelet is easily cleaned in cool water with a soft sponge.